Sometimes it makes sense to let each member of a class read and write itself to a file. In this example you can add member functions diskout ( ) and diskin () to the person class. 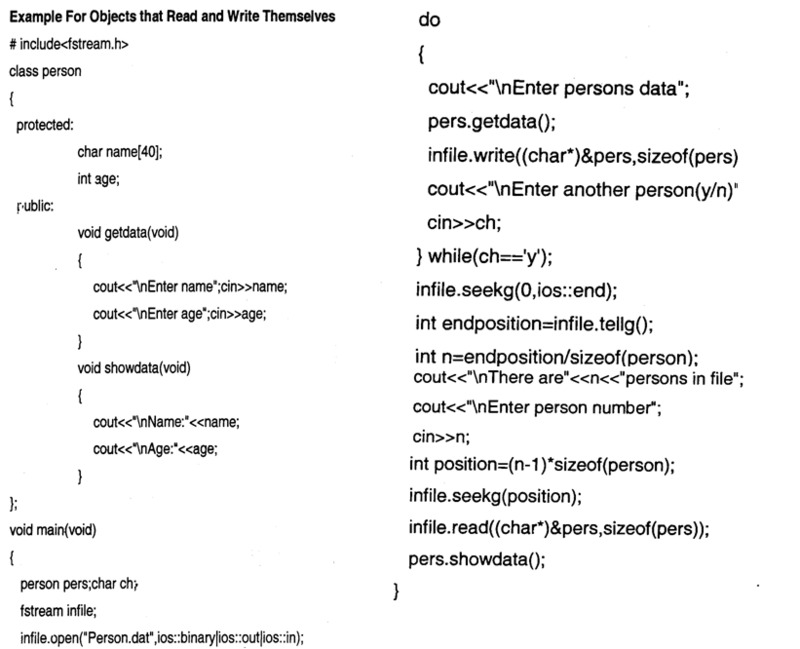 These functions allow a person object to write itself to a disk and read itself back in.